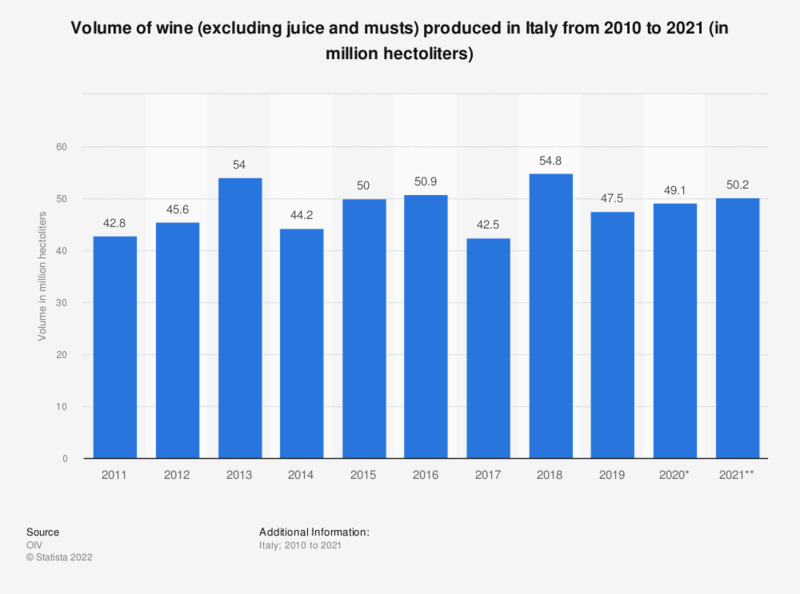 This statistic displays the total volume of wine (excluding juice and musts) produced in Italy from 2010 to 2016. The volume of wine produced in Italy increased from 42.8 million hectoliters in 2011 to approximately 50.9 in 2015. * Data for 2015 is provisional. Data for 2016 is forecast.